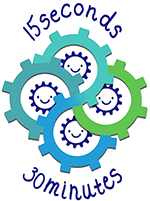 15s30m heroes are people who have launched their own 15s30m mission and it has spread to other people so they are also running missions to help reduce frustration and increase joy. Want to feature in the 15s30m Hero Hall of Fame below? 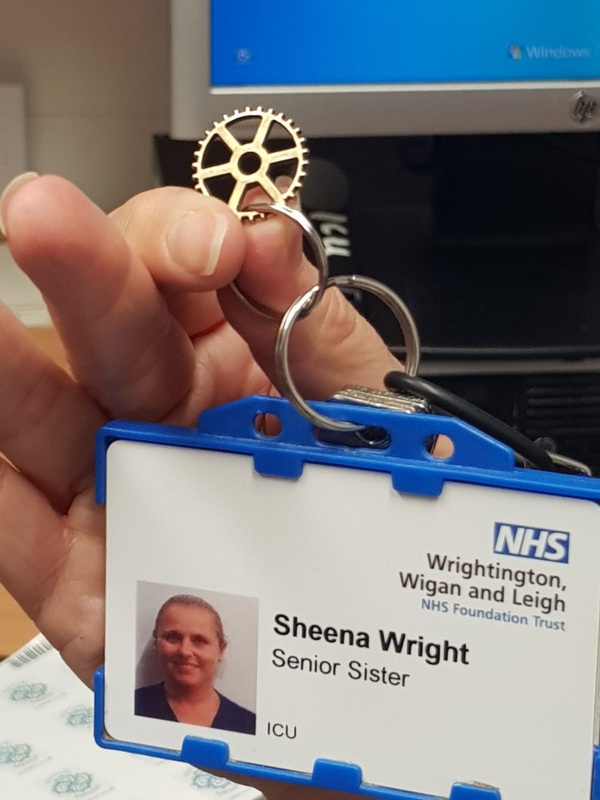 Heroes will receive a little cog to go on their ID badge or keyring and a badge so you can spot other heroes hiding in your organisation. 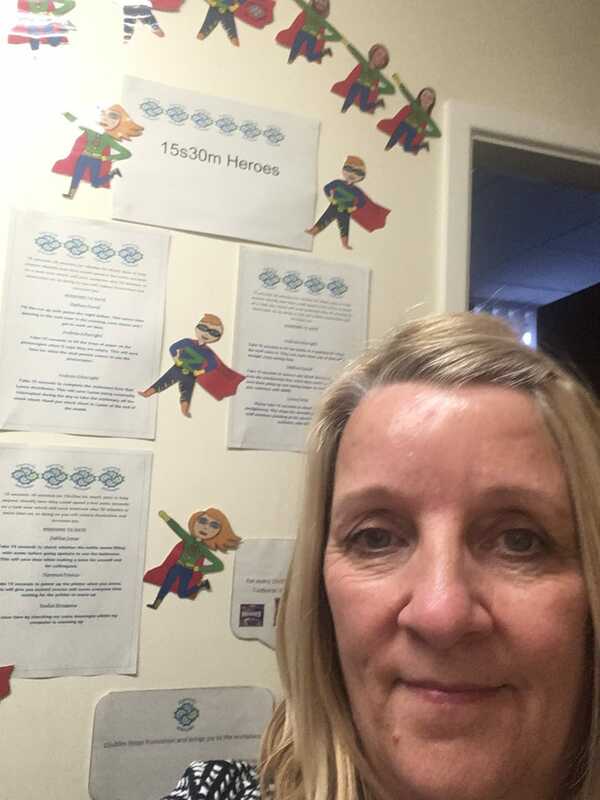 Just fill in the 15s30m hero questions, email your answers and a picture of yourself along with a postal address for your cog to info@15s30m.co.uk and you’ll be uploaded so others can also get joy in work from your mission! 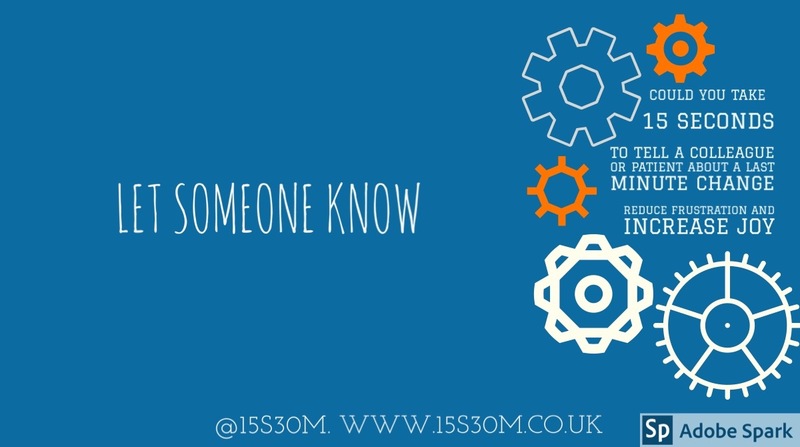 Would you like to find some 15s30m heroes in your organisation? We would love to help you launch 15s30m to reduce frustration and increase joy for your staff. Get in touch via info@15s30m.co.uk or via the contact form to book a call with us. What is you main role? How did you find out about 15s30m? 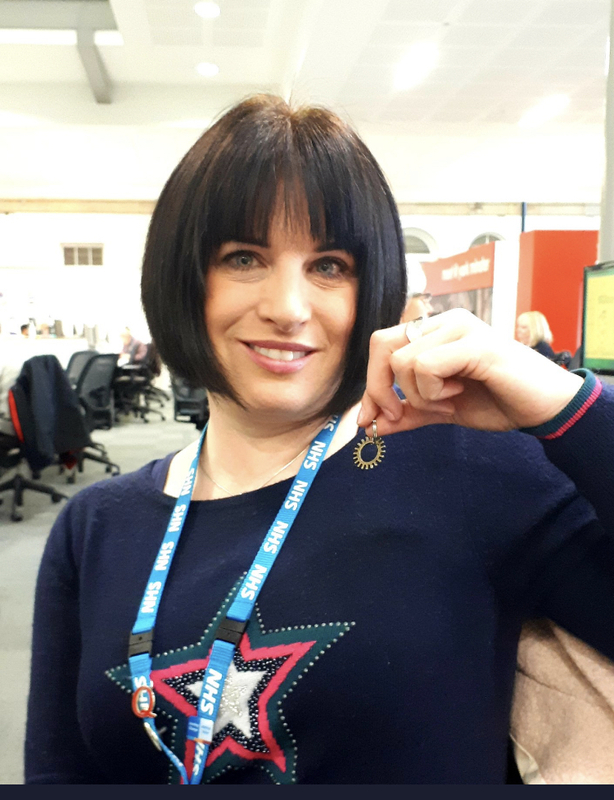 I am passionate about staff health and well being and was wanting to learn more about how to develop joy in the workplace and develop strategies to encourage resilience and supporting change in a challenging working environment. What was your 15s30m Mission? Introducing concept of 15s30m to undergraduate pharmacists and multidisciplinary team in General Practice. What gave you the idea to do the Mission? Wanting to develop concept of leadership in practice – which can be demonstrated at undergraduate level- amongst peers and colleagues and during placements- and in multidisciplinary teams in other areas of health care such as General Practice. What was the best part of the session: hearing other peoples frustrations and how we might be able to help. Staff off sick, stock needed to be put away, placement student asked to do it, (didn’t consider it their role at the time- (which generated a good discussion re professionalism and leadership- link to our professional standards)- but recognised 15 seconds putting stock in right place on shelves could save patient’s unnecessary 30 minute wait for prescription whilst staff try to locate their medication. Have you thought of any other Missions? Have you encouraged other people to do their own 15s30 Mission? Anything else you think would be useful for someone new to 15s30m to know? To remove my office tel. no from my email signature and replace with only my mobile. I am rarely in the office and would find people had left voicemails I wasn’t aware of days before. By only having my mobile in my signature it means people can contact me when they need me and reduces frustration of them waiting for a return phone call that I am unaware of and prevents situations unfolding unnecessarily. Simple 15 second task but enables better communication and response and gives me peace of mind that I am in touch with people. My second mission was to spread joy in the office. The cutlery draw is always barren and so every time I go to get lunch I bring extra cutlery so that those who need a spoon for a yogurt don’t need to attempt to eat it with a fork! Stops hangry colleagues J I also make an effort to smile… not in a creepy way! The first mission was practical, gives me peace of mind I am contactable and can respond in a timely manner. I felt guilty returning to the office after a number of days to old voicemails and people having wasted valuable time waiting for response or having to seek out help elsewhere. I wanted people to be able to reach me when needed. 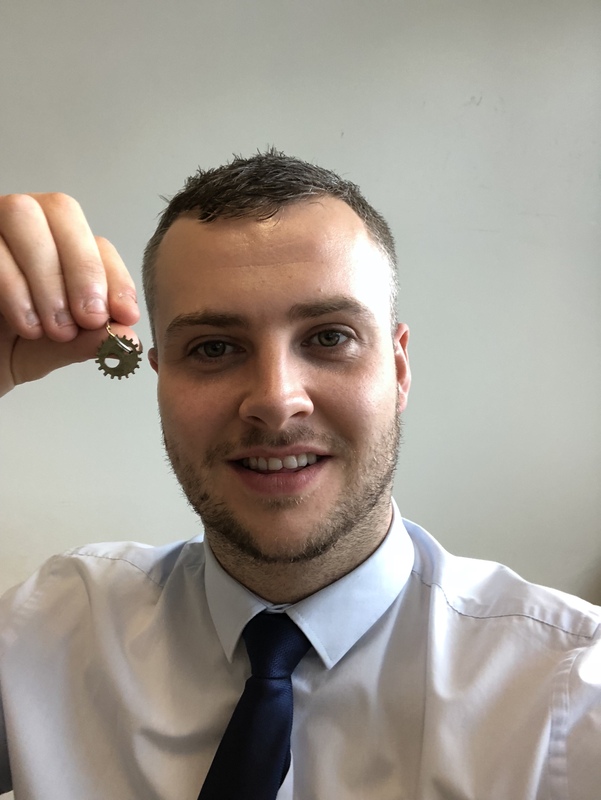 The second was born out of frustration I experienced each time I wanted to make a cup of coffee or eat food and having to walk to find cutlery from other office spaces or improvise, particularly after a busy morning. It means I am less likely to skip meals if meetings are tight. People can contact me more easily, reducing time they wait and provides assurance that I can assist them and I know about issues in a timely manner. I have held 2 workshops with very different staff groups. The first was within the CCG with colleagues from across different departments and the second was at a ‘Partners in Care’ forum. This is a forum where care home managers and domiciliary providers meet with stakeholders from across different organisations and teams. This was generated ideas different to the typical acute hospital frustrations. There were ideas about restocking equipment, plug it in was well received, going for daily lunchtime walk was one, emptying the confidential waste before the bin got full. I am returning to care homes to see what has happened since the workshop and to see if the homes would be willing to have a session themselves. There was good attendance at both workshops- over 6o people in total. Staff health & wellbeing, and empowering staff to be at their best at work matters to me. I found out about 15s30m through twitter whilst searching for an approach that enabled staff to think differently about the way they use their time in work that would improve their job satisfaction. Staff starting reports but not having time to read completely. By starting with take away/what next actions if they only read the first 3 pages they have got the important bits to take away. Take a moment to really notice what you do and the way in which you approach it. Identify your daily workplace niggles and use them as your frustration hotspots to turn into missions. At our Annual Quality Champion Conference were both Rachel and Daniel presented the 15s30m concept and the workshop. Filling the photocopier up with paper if the message comes up that the paper tray is empty. Its frustrating when you go to the photocopier and it says tray 1 tray 2 are empty. The photocopier is always full, you don’t have to go back to the paper stack and your documents are printed in a timely fashion. Simple isn’t it. I introduced the 15s30m to my small team after our weekly comms cell. I shared some ideas of the missions and the staff came up with some of their own missions. We even had one related to their home life which impacted on work. When we see someone actually doing a mission we thank them for doing that mission. 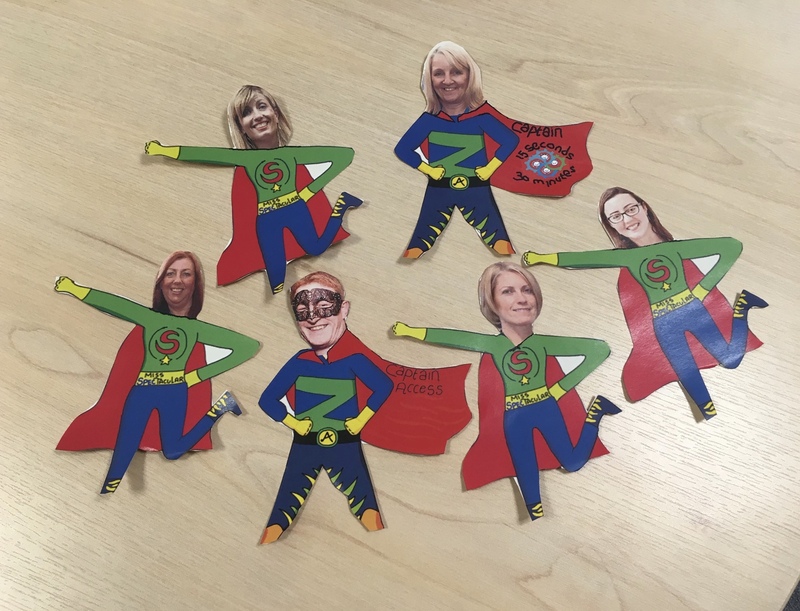 We are going to introduce giving a mini hero chocolate ( dairy free chocolate buttons for our staff allergic to dairy) when the missions have been done. The small quality improvement changes make the working environment much nicer to be around. I can honestly say there has been a lot of joy in the office and everyone is embracing the concept. We currently have nine missions on the 15s30ms Mission Wall (thank you Sheena for the idea). One mission is to take 15 seconds to remove and shred deceased patients from the membership files when they come in. This will save them piling up and taking longer to remove them, saving time. It will also conform with GDPR and make the office environment more pleasant. Spread the word and let your colleagues and friends know that you are doing this project. We have had great support from colleagues not only in the Trust but outside from all over the country. We have personalised the Hero characters I think this makes each QI mission more personal. This idea came from one of the team. We have had lots of nice comments from people. The 15s30m motivates your staff its surprising how improving something small can make a huge difference to everyone. From other colleagues within the organisation. There is evidence that having a happy workforce links to better patient outcomes, safety and experience (The Kings Fund 2012). A happy employee encourages creativity, enhances satisfaction, increases productivity and improves working relationships. 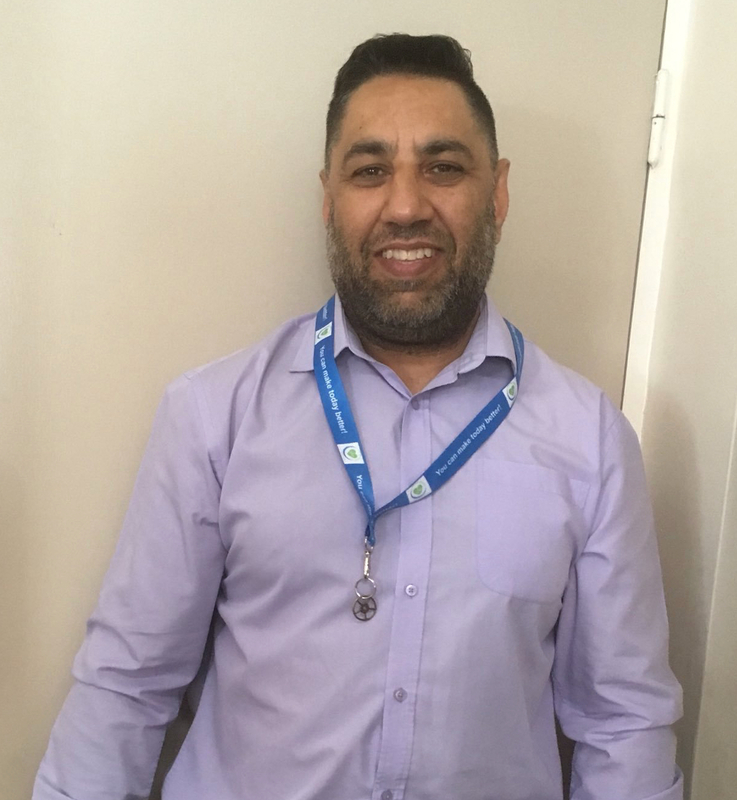 This was an important aspect to focus on, the Trauma & Orthopaedic secretarial team involved were separated into different areas, the team meetings were predominately me talking when I first started in the role and so there was opportunity for the team to get to know each other better and I wanted to explore how to improve team morale. 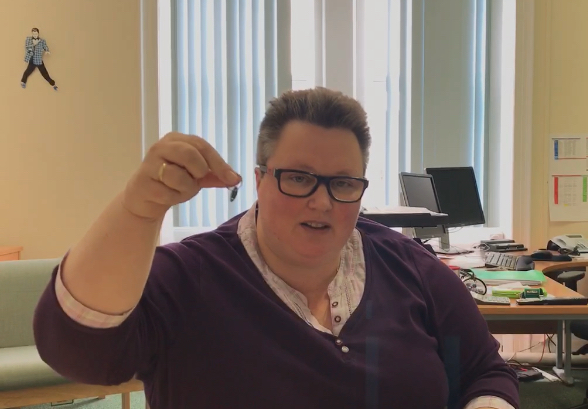 I carried this out playing simple games revolved around communication, problem solving and linking the team and their tasks into the Trust’s Vision. Problem solving game as an example in particular – solved 9 problems in two minutes of talking to each other – saved loads of people loads of time here! The team agree they have come a long way in just six months that this approach was used (short quick fixes). Feedback from the team is that they have a better team spirit and work better together. There’s better team engagement at the monthly meetings which are now more conducive and productive and everyone contributing to the conversations. Staff feel more confident and the team feel appreciated and happier coming to work. What is also important is that there is recognition that as the manager I can’t fix everything, but having a manager who listens and is approachable is pivotal to change. Yes I have encouraged as many colleagues as I can to show appreciation to their teams. One way to do this is to send a personalised thank you note to the home address of the staff member recognising their years’ of service – instead of making them wait for formal recognition after 30 years’ service. A small thank you goes a long way on some many levels. If you believe in your role then be a role model and encourage everyone to work as one. Senior Systems Support Officer for Livewell Southwest. Through Colleagues who have attended workshops and via Twitter. My mission was to send RA02 requests (Smartcard Access) myself in order to take the burden off my Line manager who was being inundated with requests on a daily basis. The aim was to reduce the overall waiting time for staff who call our clinical systems helpdesk and to ensure they don’t have to call back to find out progress and that our staff have the correct access they require in the shortest amount of time possible. Frustration from me, colleagues and our staff in the organisation at having to repeat calls into our Systems helpdesk to query how far along in the process their smartcard RA02 access request is. This was all down to a process that was outdated and not efficient. After seeing the impact and benefits of the 15s30m social movement on twitter I was really keen to give it a try myself and share the concept with my colleagues. So far there has been a dramatic reduction in the overall flowtime for the Smartcard access process to be completed and a reduction in the calls coming through to the helpdesk. My team are also plotting their own missions after seeing the benefits of 15s30m first hand. The main impact that I have seen is Joy has increased in my team and also for helpdesk callers who no longer have to call back. 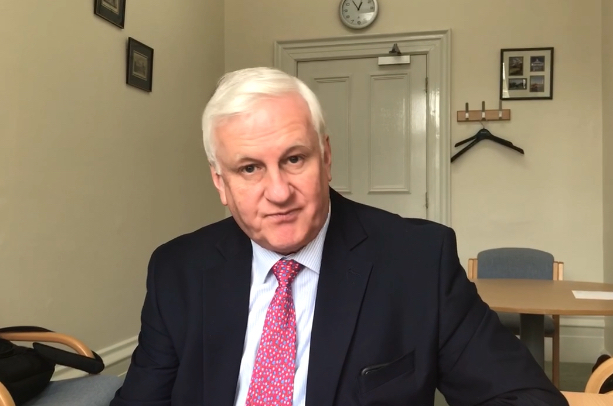 I have thought of another mission that is aimed at communication with our staff ensuring they know who to contact for Data information, this will save our helpdesk acting as a signposting service and reduce time wastage and frustration for callers who are unaware of the correct channels to follow. I have run a workshop for 8 of my Colleagues and have also presented the idea to Livewell Southwest’s employee engagement forum. I will be running more workshops moving forward. The word is spreading……. Embrace it and don’t be shy! It really is an opportunity to have your say and make changes to ensure you don’t get frustrated in work. WWL Annual Quality Champions Conference where Rachel and Dan presented their 15 seconds 30 minutes vision. My 1st mission was to always photocopy documents and never leave the drawer empty for others. A laminated reminder is now in all relevant drawers. My own frustrations when faced with an empty drawer. Interventions in critical care can be time critical, not having the relevant documentation readily available can impede upon safe and timely delivery of intervention/care to patients. Awareness amongst staff and a continuous reminder that it takes significantly less time to photocopy the last copy in the drawer than it does to leave the drawer empty for others to restock. I shared 15s30m vision in our work group generating interest and enthusiasm from many members of the team. I shared my 1st mission in our work group and team members spontaneously brought their own ideas and missions to the arena. 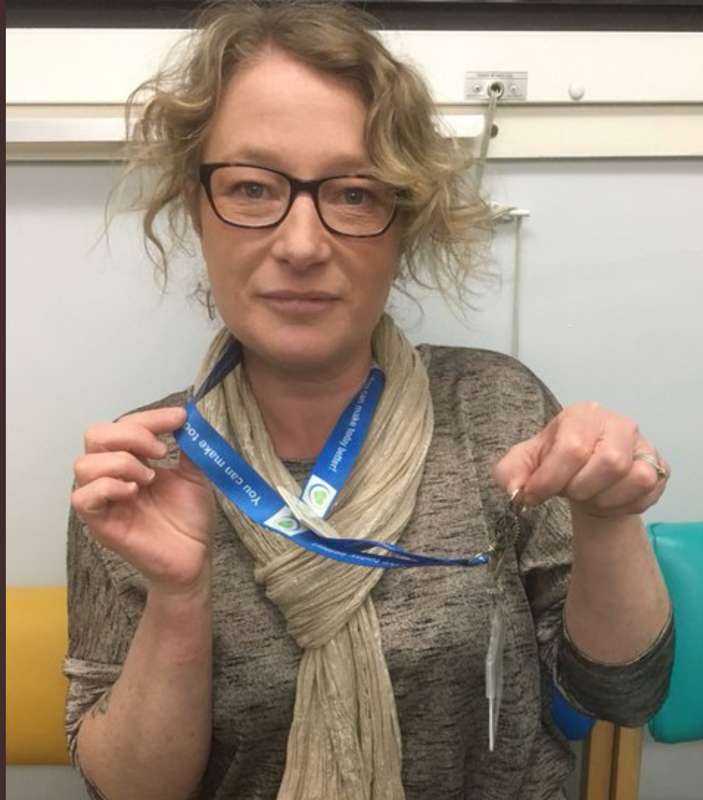 I support staff to undertake their own missions and any prompt cards/reminders specific to their missions have the staff members initials on them for all to see. The positive feedback for their missions is then relayed directly back to them. This contributes to staff feeling proud, motivated and appreciated for the small changes they’ve made which have a greater positive impact for all. ICU/HDU staff have completed 5 missions to date with more to come. Anybody can join this social movement. This allows you to make small changes which have a much larger impact/benefit for all. 15s30m generates interest and motivation to make small changes within your workplace. It supports positivity within your work environment. 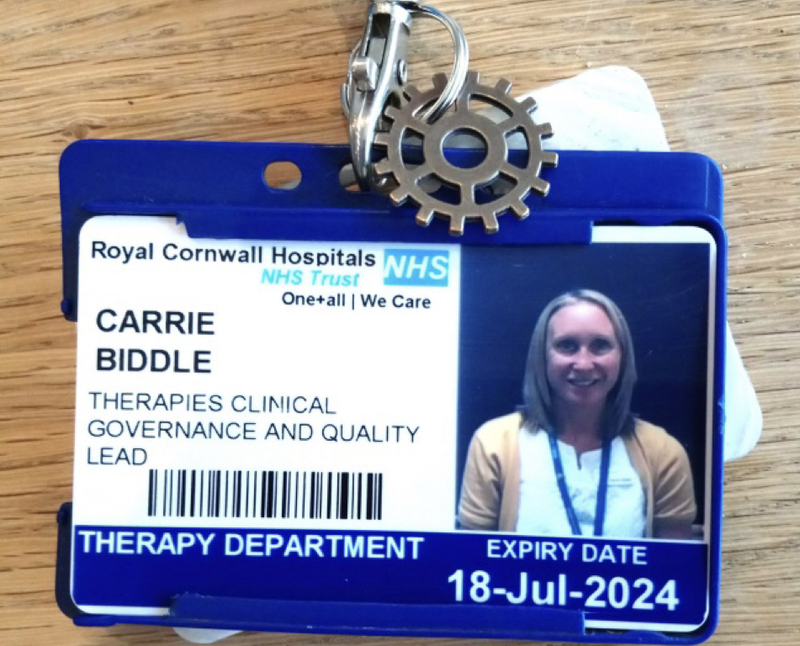 Lynda Jones is a medical laboratory assistant in Histology at The Royal Cornwall Hospital. 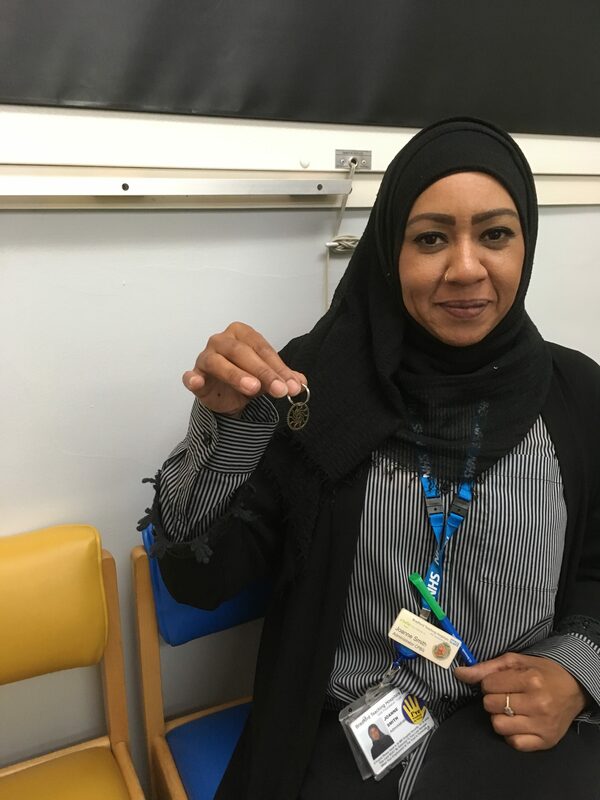 She attended the workshop held by the Bradford Teaching Hospital and was enthused to make her department a better place as a result. She has successfully achieved two missions so far. The first one involves the photocopier which is shared by two departments and is a fair walk from Lynda’s office. She uses this every day and found it frustrating when it ran out of paper, causing her an extra walk to and from the office to get more paper. She stuck her mission on the wall by the photocopier suggesting users bring some paper with them each time so that it never ran out. Thus easing frustration and spreading joy in the workplace. The second mission was centred on tidiness in the ladies staff toilets. It was disappointing that paper towels were dropped on to the floor instead of the bin provided. So a small sign was put up encouraging everyone to spend 15 seconds tidying up after themselves to save the cleaner an extra unnecessary job. This prompted another member of staff to think about why she was always mopping up the hand basin area with paper towels because they were so wet and it was found that the grouting around the sinks needed re-doing. Some of them were leaking and this could have caused more problems later. 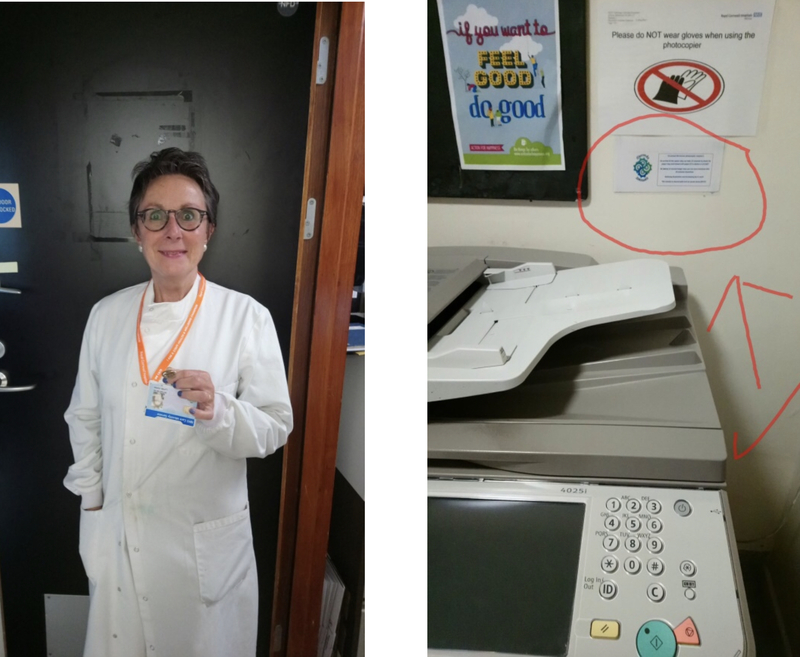 Lynda’s little sign had encouraged others to thinks about their environment and to spread a little joy in the workplace. Malik is one of the first wave 15s30m heroes! Malik has plenty of ideas that he and his team have put into action to bring more joy in work. Their 15s30m Mission has been to streamline how the notes are prepared before and after clinic, e.g. if a minipack is empty and has no paperwork in it, the team would send this back to the scanning bureau regardless, which just brought more frustation to the scanning team. Now Malik & team spend 15 seconds checking the mini-packs after clinic and if they're blank they recycle the mini-packs in that deprtament, instead of sending a blank mini-pack back to the scanning team. 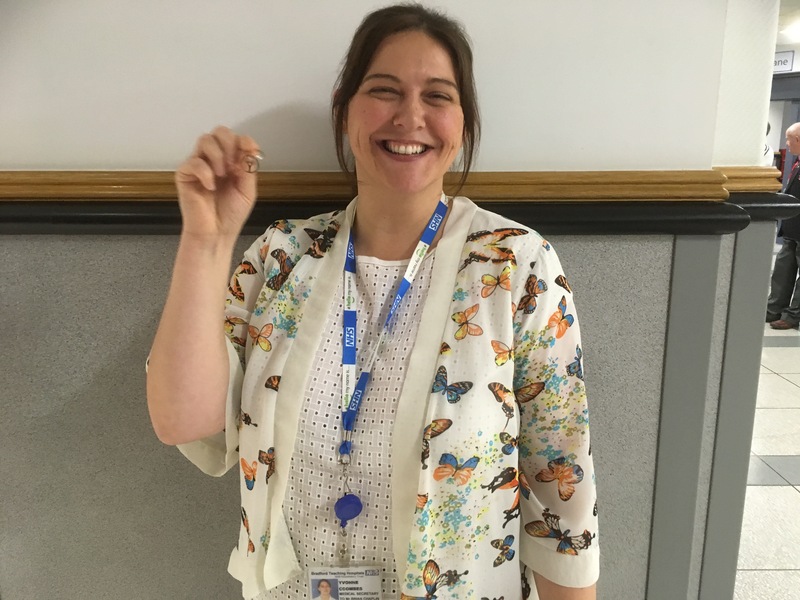 One small task which has brought joy to multiple teams; there are more mini-packs available within the Outpatient departments and the scanning team don't waste time processing a blank mini-pack. Another recent exmple was when patients DNA their appointment but the clinician would like to re-book the patient urgently. The patients notes used to go back to the medical records library to be filed away, only to be pulled form the library a couple days later for the re-booked appointment. Malik and the team have now set up a dedicated DNA shelf and keep the records in the Outpatient area ready for the next re-booked appointment. Another small task bringing multiple joy for; secretaires, porters, van drivers, medical records clerks, clinicinas as the notes are guranteed available for clinic, well the joy just goes on and on! Carol loved the ethos of 15s30m from the very start. 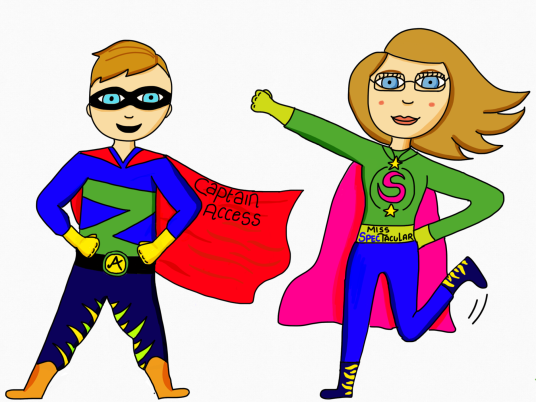 Carol's had loads of ideas and has succesfully put 2 15s30m Missions into action. 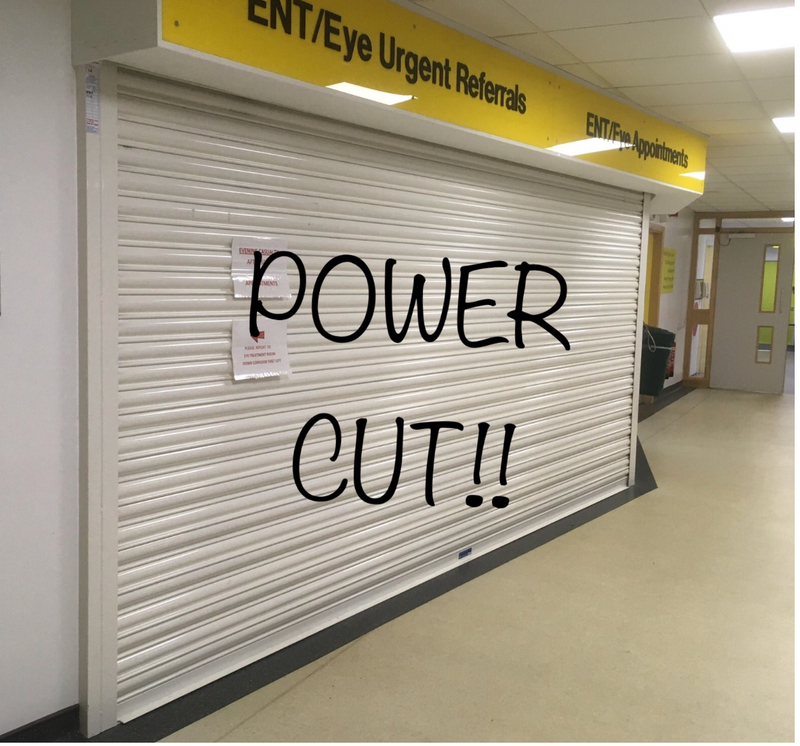 The 2nd Misison was during an unscheduled powercut and the reception team could not open the shutters where the patients check in. 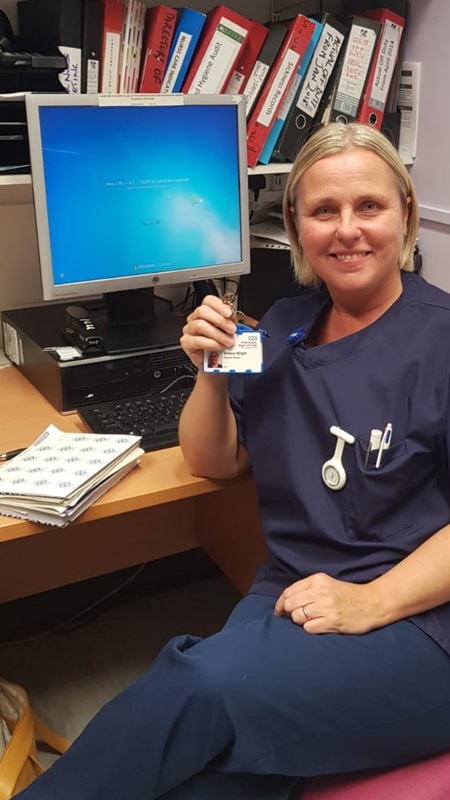 It would have been so easy just to ask the patients to sit and wait until the power cam back on, but no Carol jumped into action and reverted to a good old clip board and paper to manually check the patients in to make sure the flow of clinic still kept to time. A great thoughtful mission bringing more joy to work for all. 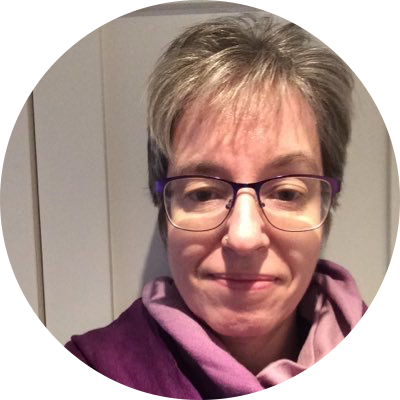 Even prior to the workshop, Joanne had made small changes herself – for instance, handing out colouring pages and crayons for children attending clinic when there is a long wait. All too often we hear another version of this story: that the patient would be turned away being told “there’s nothing I can do: I don’t deal with appointments: you’ll have to just see your GP.” Joanne sees her role as much more than a receptionist: she explores ways everyday to make it easier for patients and staff to have the best day at work they can. And in the process, she feels a great sense of satisfaction at being able to make a difference. 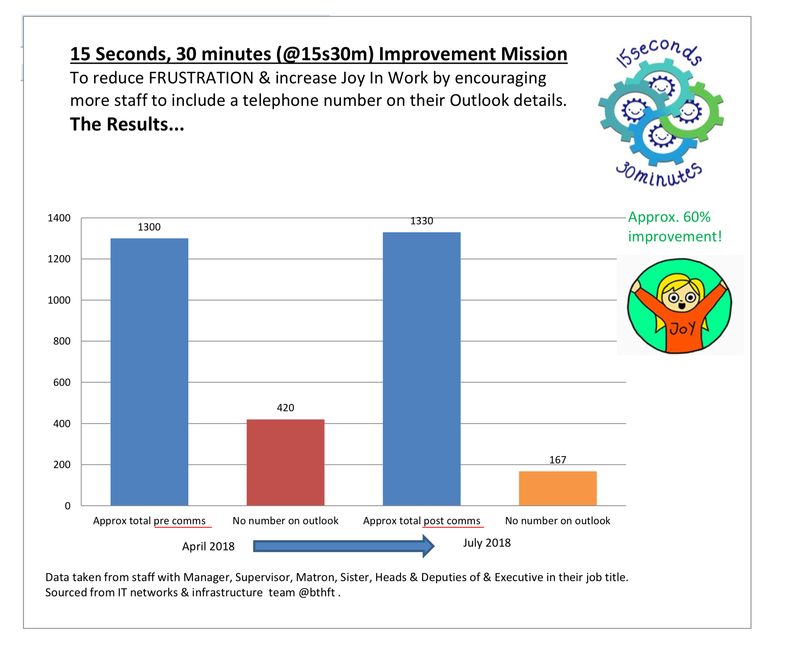 15s30m really is aimed at all staff no matter what their job title, so we were keen to show staff that the 'golden thread' throughout the ranks really does exist! Karen helped champion the 15s30mMission to update your contact details as her mobile number was not available on her e-mail signature / outlook details. So Karen spent 15 seconds updating her contact details so that someone else wouldn't have spend 30 minutes and more ringing round other people trying to hold of Karen. Karen did a little video for us too which is on YouTube channel. Andrew Foster has been our mentor after winning the Sir Peter Carr Award and has helped us launch 15s30m as a social movement. 15s30m has been over to WWL Trust to present at their Quality Champion Event. 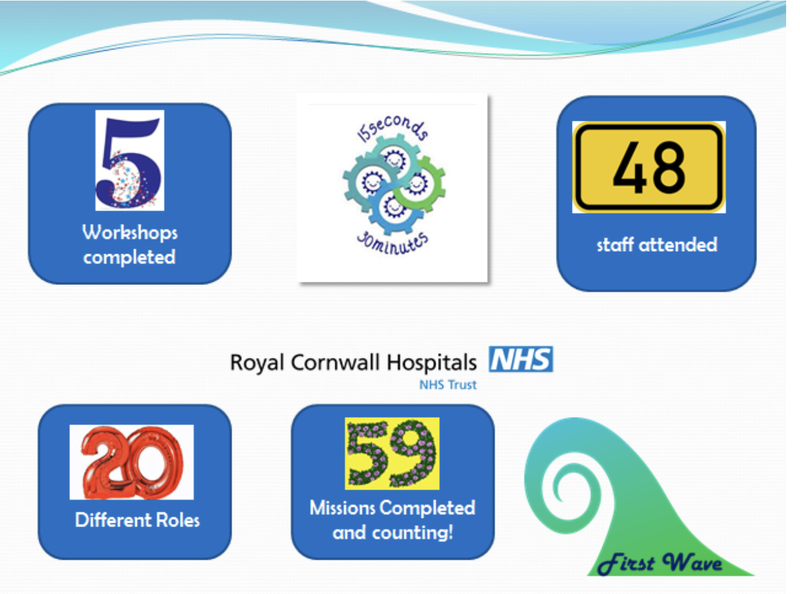 We're following up with their QI team in October and November so that WWL can launch 15s30m in their organisation.